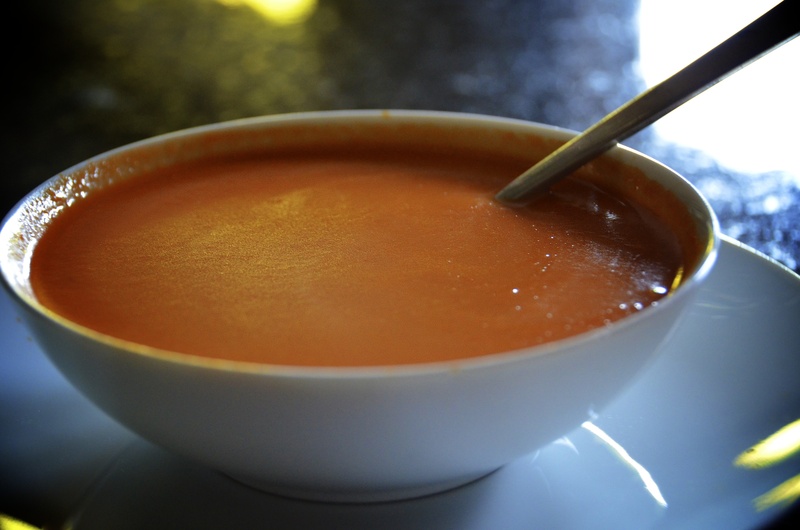 I designed this soup recipe especially for me! But you are welcome to try it for yourself. It is very similar to the other version with white potato except for that I have to avoid tomato and onions also! This soup tastes so good to me that I don’t even notice the omissions. 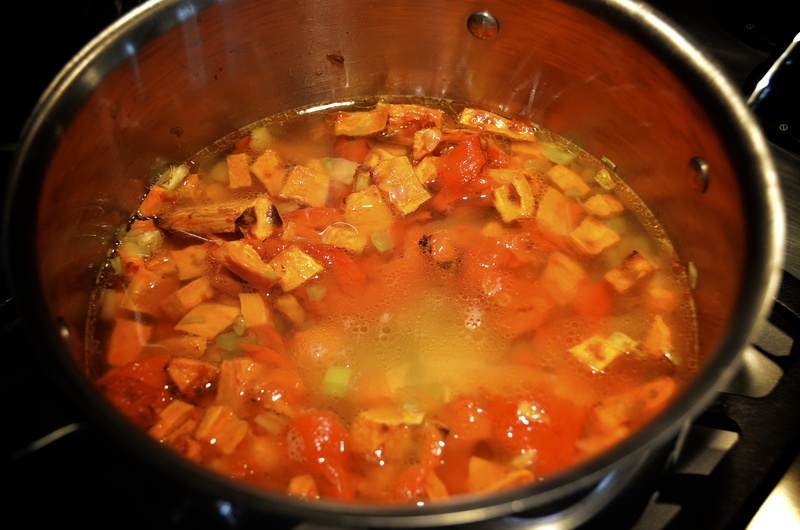 1 Large Sweet Potato or Jewel Yam (adds more colour), peeled, chopped into cubes and roasted ~1-1/2 to 2 Cups. Roast Red Peppers and Sweet Potatoes in a pre-heated oven. I start at 350°F and after about 30 minutes I lower the heat to about 275°F until the skins on the peppers start to pull away from the flesh. You can see this in the above photo. It can take up to 45 minutes or longer to get the right amount of roasting. You have to experiment for yourself. Watch that the sweet potatoes don’t burn. You may have to take them out before the peppers are done. While the peppers and sweet potatoes are roasting, prepare other ingredients. 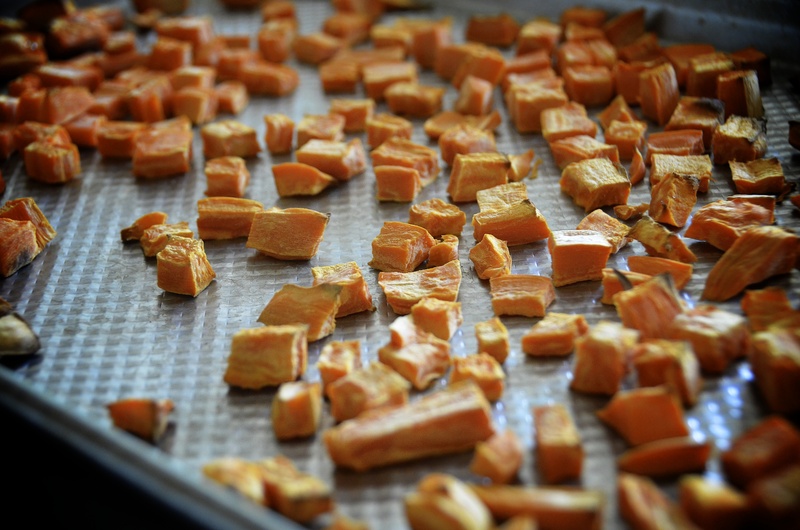 Once peppers and sweet potatoes have been removed from oven and cooled, remove skins from peppers and discard. Some people put their peppers in a brown paper bag to facilitate the peeling, but I don’t do that. Heat Hazelnut Oil or Olive Oil in soup pot over medium heat. 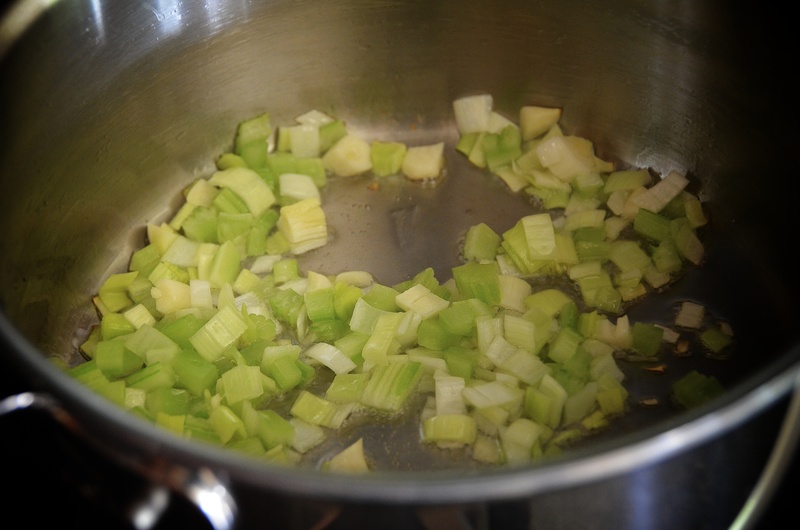 Add leeks, and allow to soften, not brown. 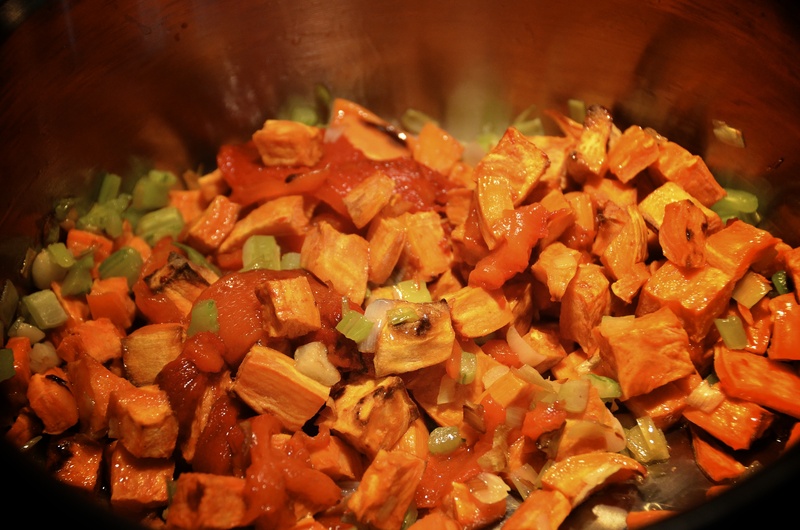 Add roasted red peppers, roasted sweet potatoes and garlic. 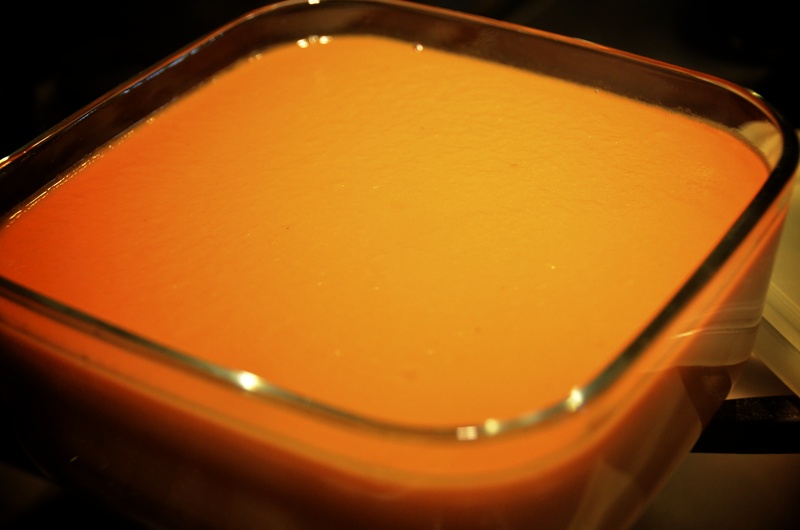 Once the soup has reached the desired smooth soup consistency, return to pot (re-heat if necessary).